I’m fully aware that my books may not seem as practical as other marriage books, or that that this blog doesn’t always dish out the very helpful “how-to” tips that so many other blogs focus on. It makes me a bit insecure at times; I could sound lost in the clouds to many people, like an out-of-touch religious idealist. When our minds are set on human things instead of divine things, we fight about things that don’t matter. As we parent, we focus on things that don’t ultimately matter. And that means we ignore things that do matter. If you succeed at things that don’t matter you’ve still ultimately failed. Why would I want a couple to have a more “pleasant journey” when they’re traveling to the wrong place? 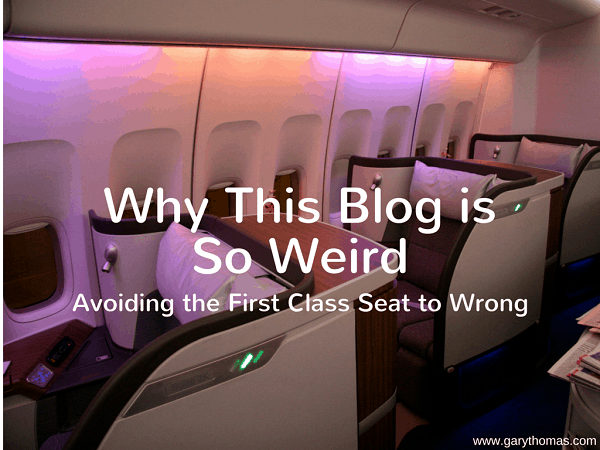 If you’re in a first class seat to wrong, you still end up misled and wasting your life. I’d rather help you ride economy to right. Perhaps you could spend just a few minutes today wondering if an ongoing issue in your marriage or family could be “solved”—or at least transformed—by putting your mind on divine things instead of earthly things. Some of you may have friends or family members who ask you, “Why do you put up with this?” Others may dish out advice that makes sense in an earthly sense, but you are convinced it would displease your heavenly Father. Don’t listen to them; listen to Jesus. Like Jesus, be utterly abandoned to walking in the obedience that brings God glory and brings you many heavenly rewards. So, as for this blog, I’ll keep talking about worship and marriage; the impact of eternity on today; seeking heavenly love instead of idolizing romantic sentimentalism. Thank God for solid “earthly advice,” but whenever I put earthly things—even good earthly things—above heavenly things, I, like Peter, become a stumbling block to my spouse, to my kids, to you. And there are plenty of places you can get loads of “how to” information from people vastly smarter and better trained/educated than me. So, if I seem obsessed about heavenly things, that’s why. Thanks for continuing to listen, and read. P.S. Lisa and I will be away from wifi for about a week, so while I’ll read the comments to this post when we get back, you probably won’t see me interacting with them in the near future. This is very encouraging and needed. Thanks so much for posting this, and for everything you write. Gary, it’s so good to “hear” this kind of teaching. Frankly, I think there is nothing more practical than the truth and that truth is solid and true — but can be applied according to His leading. God knows each of the individuals and every little detail about them and their heart and situation and He understands all of the factors involved in the relationships. He also knows His plans and purposes…we can trust Him. Fully. This message to trust Him, follow Him seek His way is the wisest and best way to live in all of life — including marriage. We want a three step, easy to control, fix it answer…God gives us a supernatural, Holy answer that calls for faith and surrender to Him and His ways. 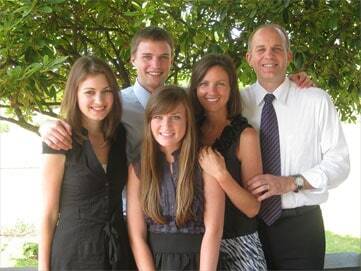 Thanks for standing firm in this and for the godly encouragement and teaching you give. KEEP ON PREACHING IT! And I’ll keep on sharing with the Future Marriage University (FMU) community at https://www.facebook.com/FMUniversity. Keep shouting your message, Gary! Your books and blog have helped to completely change my life, my walk with the Lord, and my marriage. Both my husband and I have had MANY “ah-ha!” moments after reading or listening to things you have shared. From our very grateful hearts to yours — thank you. You’re very kind! Bless you! You have no idea how perfectly timed this post was for me. Ready to give up hope, stop walking in faith, and start listening to earthly advice (“How long will you live like this?”, “You deserve better…to not be neglected.”, “It isn’t getting better”, “He’ll never change”, etc), I asked for something to give me some hope…to let me know what I am supposed to do….to let me know if I should keep walking in blind faith that God’s plan is at work for our marriage – or if I am being naïve and need to walk away. Then I saw this post. I tend to get impatient…wanting immediate results. This was a great reminder that I can’t always see God’s plan at work, but He is working. And it won’t work unless we continue to have faith in Him…and only Him. Thank you. So moved by this, Becky. What impresses me most isn’t flashy ministry, but faithful, persevering, often anonymous obedience. God be with you! As for me, you’re preaching to the choir. KEEP PREACHIN’! Pound the pulpit too! Honestly, Gary, your books on marriage and family life have inspired my husband and me like no others we have ever read. Thank you for listening to the heart of God. Your message is changing lives – unlike those who are intent on helping people ride first-class to wrong. Yes and Amen! Writing this down in my daily planner right now…. I have a friend who does therapeutic foster care. Therapeutic sounds to nice. I would call it “all jacked up kids” foster care. These are some of the most damaged kids on the planet. Her number one goal is to lead them to Christ because they can’t know “who” they are until they know “whose” they are. I thought about her and her kids when I read your post. The organization she fosters through sends her to very expensive seminars on how to deal with these kids. They give her resources to parent these kids. They send the kids to counselors and medicate them to help them through their trauma. At the end of the day, the kids that have done the best are those who have allowed Jesus to rewrite their programming. All the “stuff” is good but it takes Jesus to change. Thank you, Gary, for this message which is ultimately His message to us. A message given not my human flesh but by His Spirit. O LORD, give us ears to hear, hearts to receive and minds to apply Your message to our lives! You’re a very encouraging person, Jeanne. Bless you!